The Head junior swimming cap is produced from a durable fabric and offers a stylish two-colour design. 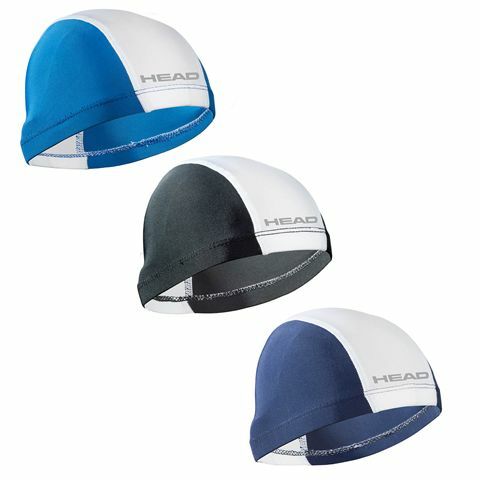 This panelled nylon/spandex cap ensures great elasticity and is shaped for maximum comfort. 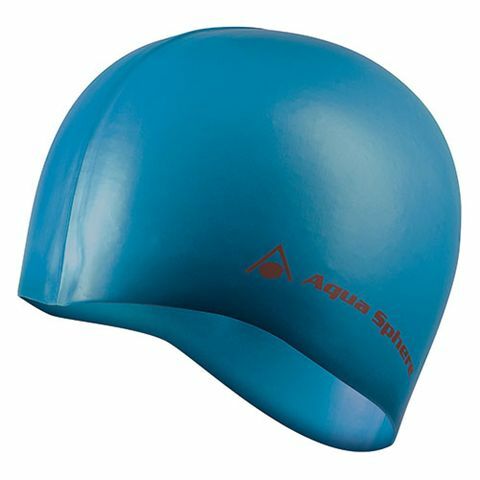 The Aqua Sphere Classic junior swimming cap is suitable for swim lessons and regular training and has been designed to protect your child’s hair from drying, damaging and tangling effects of chlorine in the pool. It features a stretchy and durable silicone construction ensuring great elasticity and an optimum fit. The cap keeps longer hair out of your little one’s face and provides a lightweight, comfortable feel. 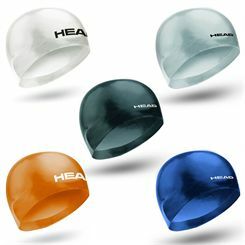 A classic essential for swim lovers, the Speedo Plain Moulded silicone cap is a soft-to-touch choice ensuring enhanced protection from chlorine for your hair. 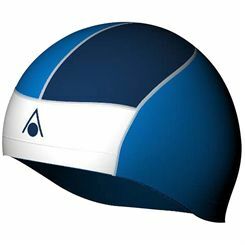 It’s also very comfortable due to a unique 3D design delivering ergonomic comfort and fit, and additionally creates a hydrodynamic outline when in water for more efficient swim and excellent performance. Great for regular training, the Aqua Sphere Classic Fashion swimming cap is durable and flexible thanks to its silicone construction. 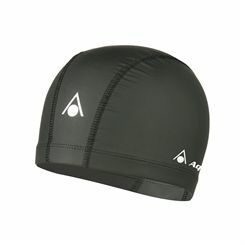 The cap offers a snug and comfortable fit, as well as excellent seal. It has small Aqua Sphere logo and guarantees increased elasticity and resistance to chlorine. 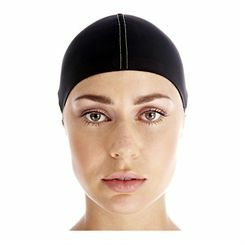 Whether you’re a leisure swimmer who wants dryer hair at the end of the session or a competitive swimmer who wants to stop your hair from slowing you down, a bathing cap is a low cost and sensible addition to your kit. Swimming caps are as much about health and hygiene as they are speed and efficiency. And in some pools and certain circumstances they’re a must. The right fit of cap will keep your hair dry and also prevent it from escaping into the pool and clogging up the filters. And if where you dip is chemically treated – as most public pools are – you’ll be protecting your crowning glory from the full exposure to chlorine. 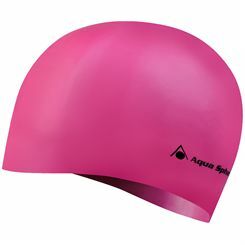 A swimming cap keeps your hair out of your eyes and streamlines your head, enabling you to swim more efficiently. 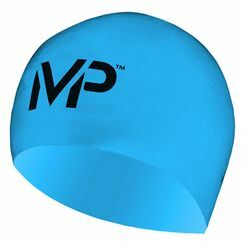 In competitions the colour and design of the cap are used as markers and if you’re braving an open water venue – river, lake or sea, they’re a great way to retain body heat too. In fact cross-channel swimming rules don’t allow the use of wet suits so a swim cap is crucial if you’re crazy enough to attempt the 21-mile swim in temperatures as low as 17 degrees Celsius. The most popular modern materials are latex and silicone; latex is the cheaper and thinner of the two while silicone is warmer, more expensive, longer lasting, stretch resistant and can be even moulded to be ‘hydrodynamic’. However there is a downside to silicone, it retains much more heat than latex so if you’re wearing a cap for a vigorous water workout or in a warm climate for your swim latex is actually a better option. 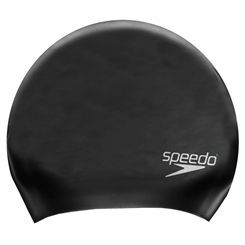 If latex is the way you go ensure you get the longest possible life out of your cap by patting it dry inside and out after every swim.